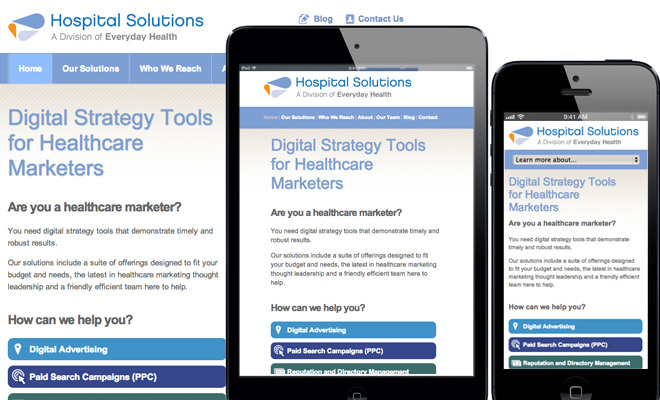 The Hospital Solutions team at Everyday Health provides custom digital marketing tools and services specifically to hospitals. 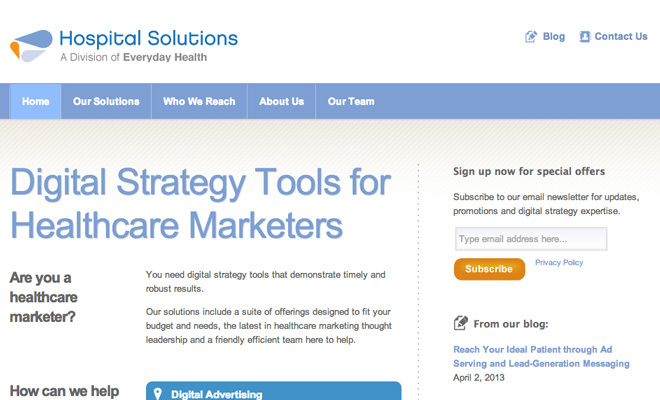 Not only do they provide services directly but they keep a very active blog and series of downloadable media to help the tech-savvy market themselves. Since the site needs to be an example of the services offered, it has a regularly updated blog, responsive design, and easily downloadable media. The site was built with Wordpress and includes custom post types, custom plugins, and logic to link relevant content automatically across the website. Completed while employed at Everyday Health.